The Oscars are given out annually by the Academy of Motion Picture Arts and Sciences and are the world's top film honours. While all the winners walked off the red carpet with a golden Oscar statuette clutched in their hands, it was a troupe of environmentalists led by global warming advocate and former US Vice President Al Gore who painted the Oscars green this year. 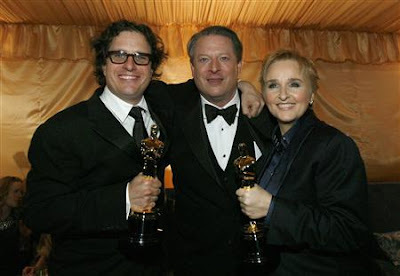 AN INCONVENIENT TRUTH, which tells of Gore's 30-year campaign to warn people about global warming, was named the year's best documentary, and singer Melissa Etheridge was given the Academy Award for original song with I Need to Wake Up. "I have to thank Al Gore for inspiring us, inspiring me and showing that caring about the earth is not Republican or Democrat. It's not red or blue. 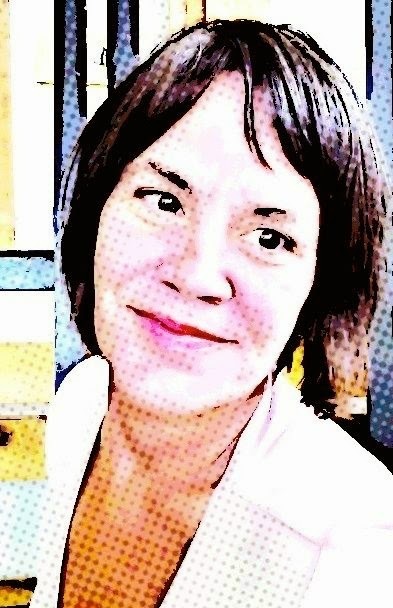 We are all green," Etheridge said. Backstage, Gore told reporters: "The Academy has gone green this year." Watch the official announcement made by Gore and Leonardo DiCaprio here. I was also very happy (I actually screamed) to see Alan Arkin win Best Supporting Actor for his role in LITTLE MISS SUNSHINE, as not only was that my favorite movie last year, but I absolutely loved Arkin's role in it! Did anyone else notice that the silver backdrop used in the Oscar's (and seen in the video clip above) is the same signature design motif used by interior decorator Kelly Wearstler in her own Los Angeles home? Read last month's blog about Kelly here. Watch her movie too! Photo of Director Davis Guggenheim (lucky you, Elisabeth Shue), Al Gore and Melissa Etheridge above by Reuters.